Security camera dealers, suppliers, and distributors depend on the experience of established industry-leaders like eLine Technology to succeed in a competitive industry. Our goal at eLine is to help online security camera dealers, local security camera stores, and all other parts that make up the world of CCTV security and surveillance find sustainable success. Our primary mission is to work with authorized security camera dealers and distributors in order to build a network of trusted buyers clients can come to depend on. We have established an esteemed reputation in every facet of our professional market and are proud to continue to help security camera dealers accomplish their own business goals. 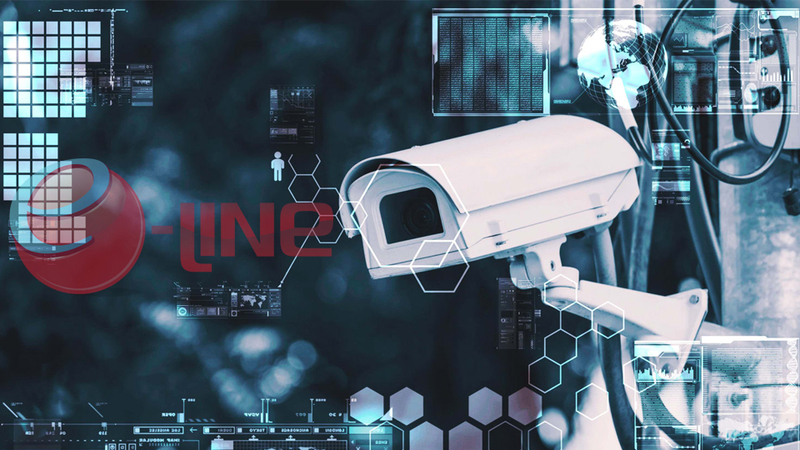 With well over a decade of growing success in the field of security camera and high-end CCTV surveillance equipment distribution, eLine continues to pave the way for what can be achieved in our respective industry. We recently spent a great deal of time and effort to develop a support portal that makes networking easy for all authorized security camera dealers and distributors. This commitment to our clients and the partners we work with allows every part of the network that makes up our industry to find the resources they need to reach whatever solutions they seek. Even our own support team is comprised of experienced, knowledgeable security camera experts capable of informing other industry professionals in the areas they need help with. Our overall goal is to continue to lead the national US security camera dealers and distribution market into a new area of security and surveillance. One factor of doing this is by making impeccably designed CCTV, security, and surveillance products available to all those qualified to sell advanced CCTV surveillance equipment. Some of our products are known to be the most advanced security and surveillance devices found in the world, most of which come equipped with the most advanced surveillance technologies currently available. These might include everything from cloud-based storage via 4G surveillance products or branch into the advanced video analytics available in new CCTV smart software. Our team has now concluded over 22,000 different projects across the country that affect the way we view the world around us regarding security and surveillance protection. Our 4G solar surveillance products can be seen in use at popular US national parks, of which can be viewed as live streams on our website right now. Our ability to offer such advanced security cameras and CCTV surveillance products to security cameras dealers and distributors is now used for applications that cover a growing number of major industries. Construction site security, border patrol security, oil and gas security, retail loss prevention, and even local retail businesses all depend on the security and surveillance products we carry so that they may continue to find ways to achieve the levels of security they require to succeed. Our solar surveillance products are widely used in remote locations that are difficult to navigate, much less protect with an outdoor CCTV surveillance system. Fortunately, with the advancements in solar technology, a solar panel security camera system can be installed and implemented to cover wide areas that would be impossible to monitor until this solution was developed. One of the main reasons so many security camera dealers and distributors have come to rely on us year after year is the high level of technical support we provide to each of our authorized vendors. These options extend to warranties that allow for future upgrades, affordable options to make scalability easily achieved, and incentives for recommending our services to other established interested parties. The eLine Support Portal is now one of the highest functioning support areas found among all security camera and surveillance product businesses. It now only gives security camera dealers and distributors access to a slew of various technical support tickets with previously given solutions, but also allows them to communicate with other industry professionals to easily get the answers they need. Additionally, the eLine Knowledge Base has useful tools and resources to use to make finding difficult calculations simple and easy to understand. With a large variety of different calculators, users can input specific numbers to automatically view the correct figures they will need to successfully complete their own project. Visit the eLine Technology website to navigate through all of our different pages to view the various security cameras and CCTV surveillance products we make available to authorized security camera dealers and distributors. There you will also be able to view the different forms of advanced surveillance technologies we have available along with the answers for how to become an authorized vendor yourself. Contact eLine Technology online to discuss any questions you have with one of our representatives. For further assistance, call the eLine support line at 800-683-6835.